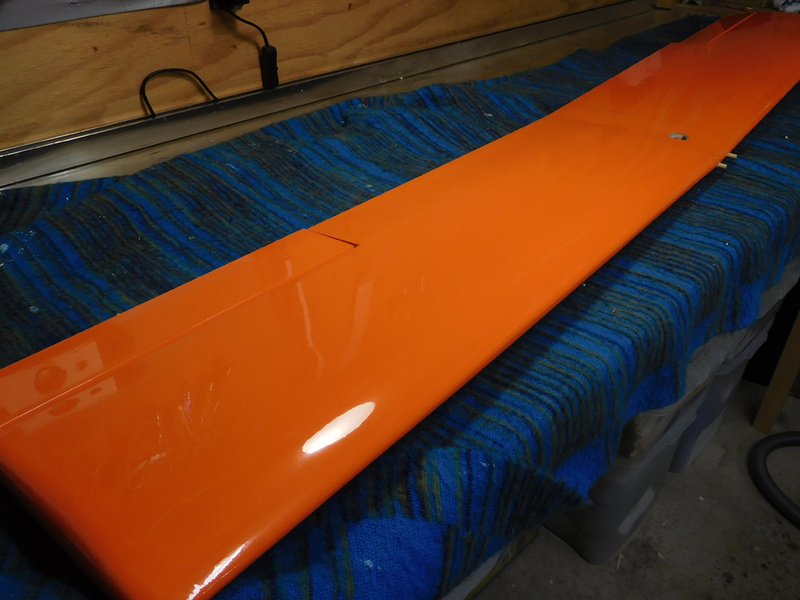 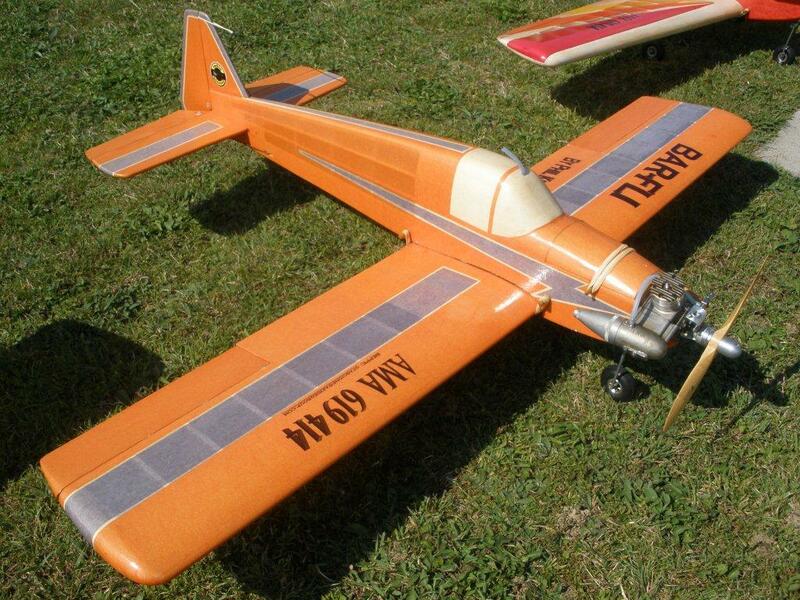 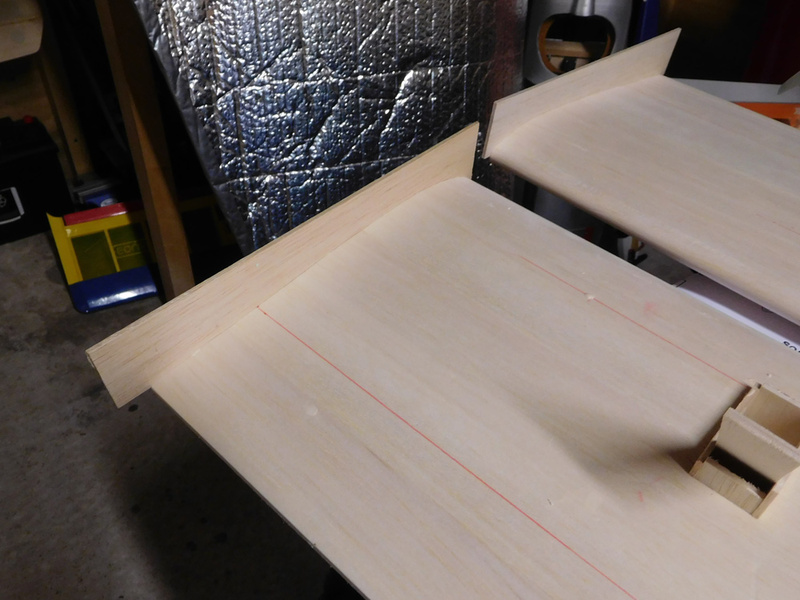 Bit of a jump here, Wings covered, and aileron fitted with Robart pin hinges. 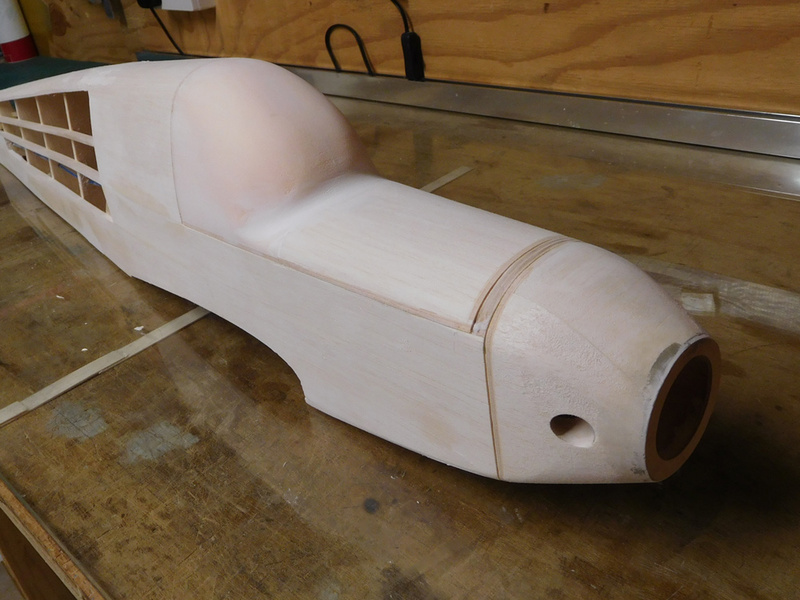 Other details show the motor mounted and rear end detail. 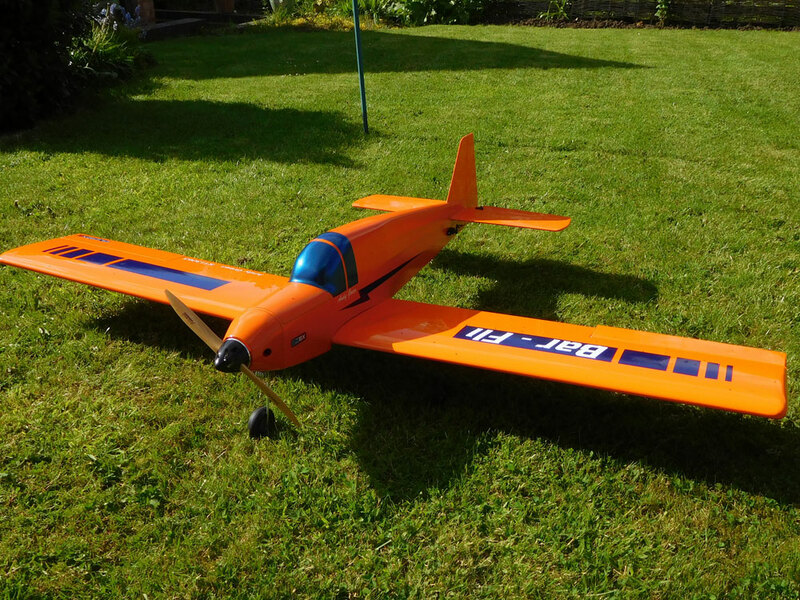 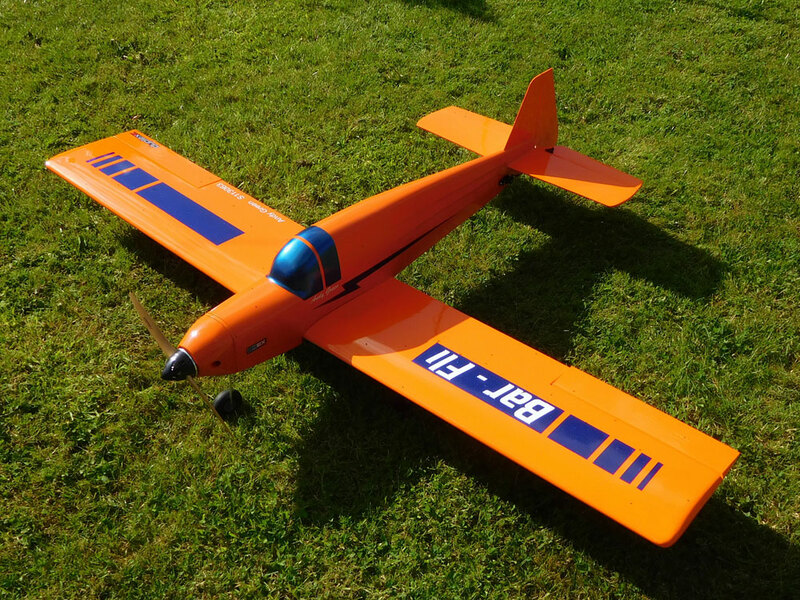 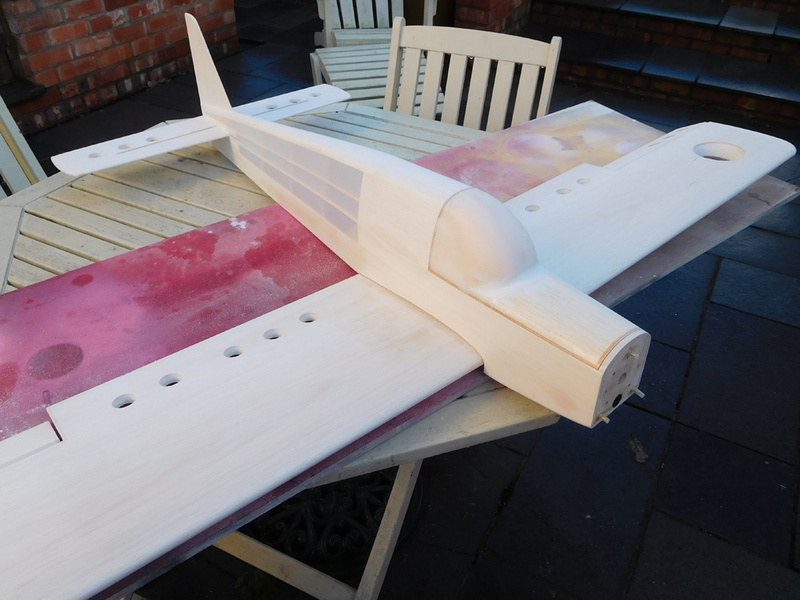 Ok now's the time to come clean, this will be an electric model, powered by an eFlight 52 on 6S, so the front cowl will be removable as too will the front top decking for battery access. 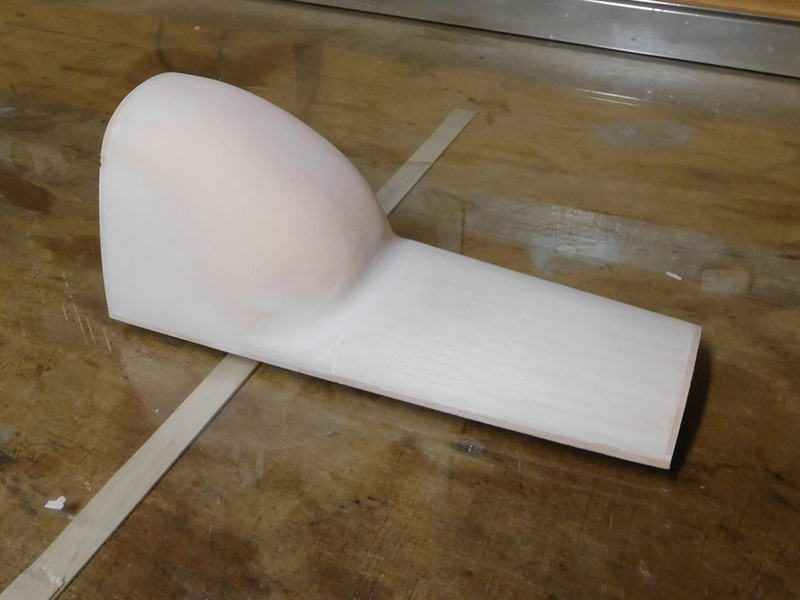 Also the foam cockpit ready for shaping. 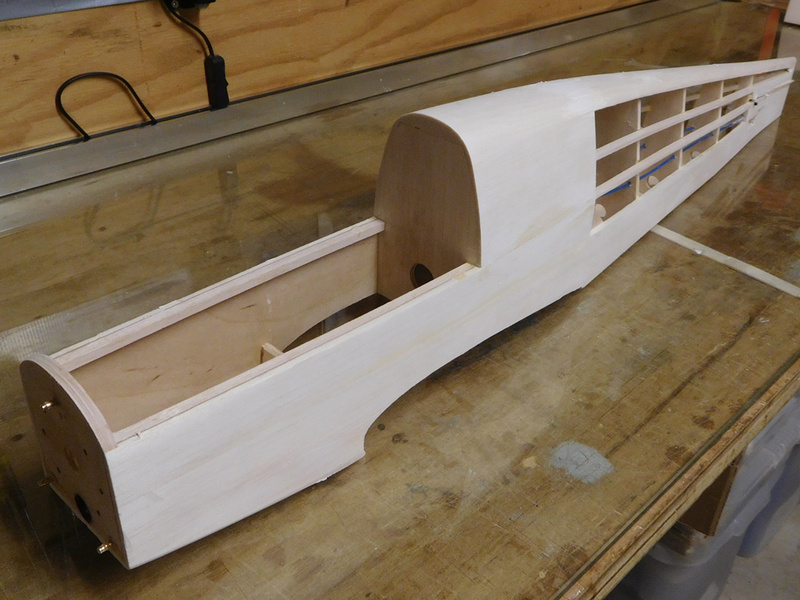 Hard points for the aileron horns. 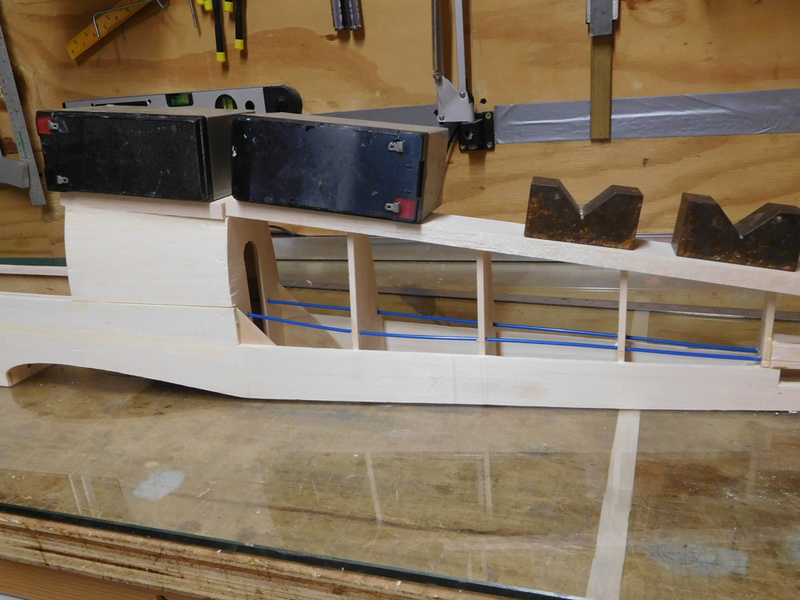 Note wing tips not shaped yet. 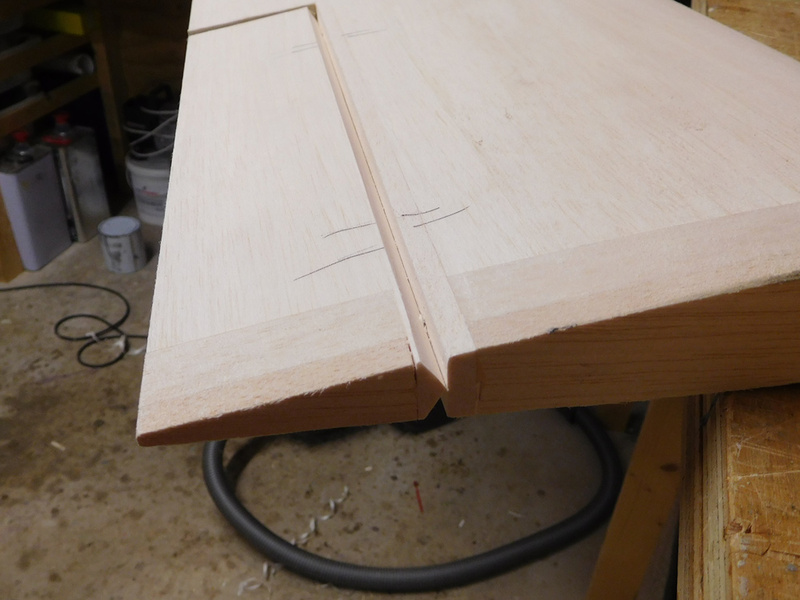 To shape the rear top decking I added some temporary 'sacraficial' stringers to indicate the limit of shaping. 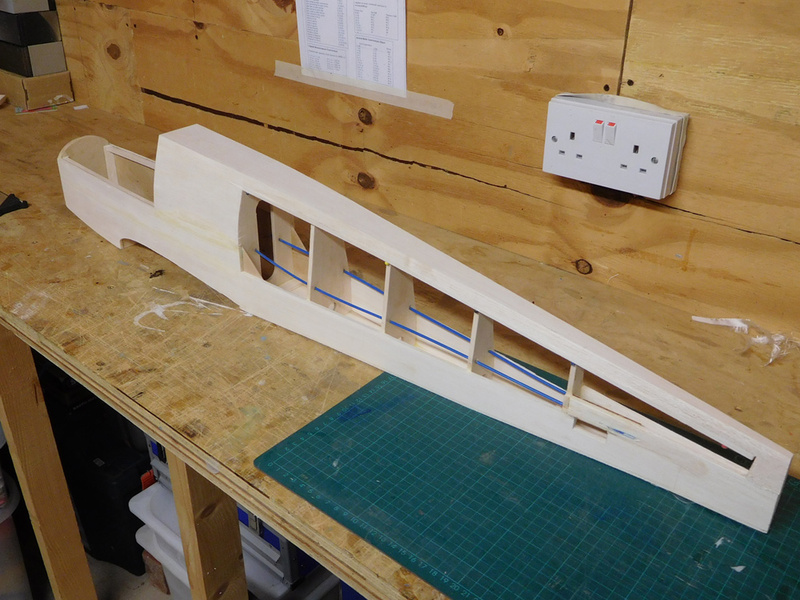 Centre section glassed, with glass cloth also covering the undercarriage blocks, just to tie it all together. 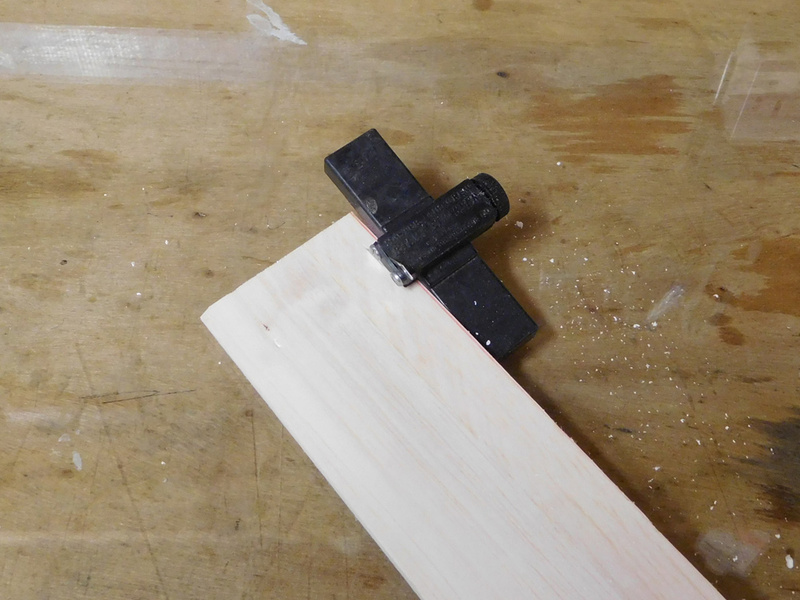 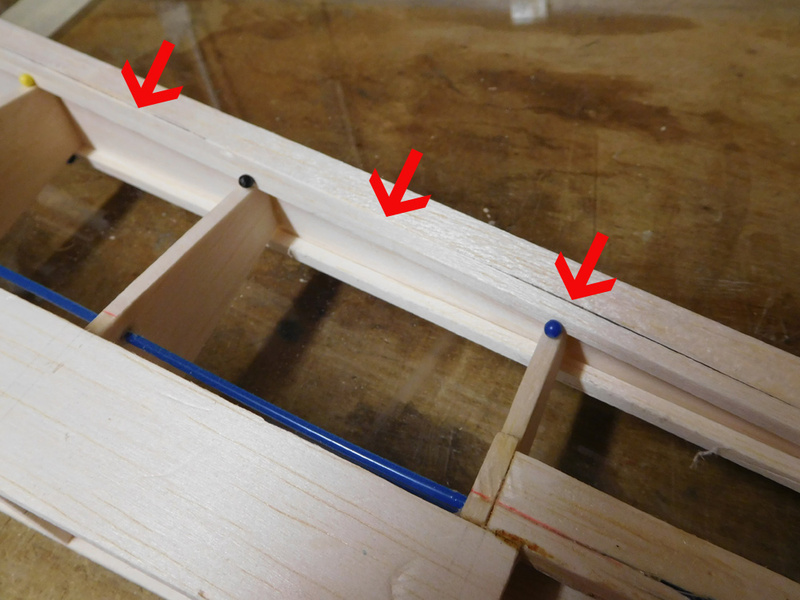 As per all my builds, my prefered method of joining the wings is to raise the tips parallel to the building board, such that any error in the cores will be at the centre and not the tips. 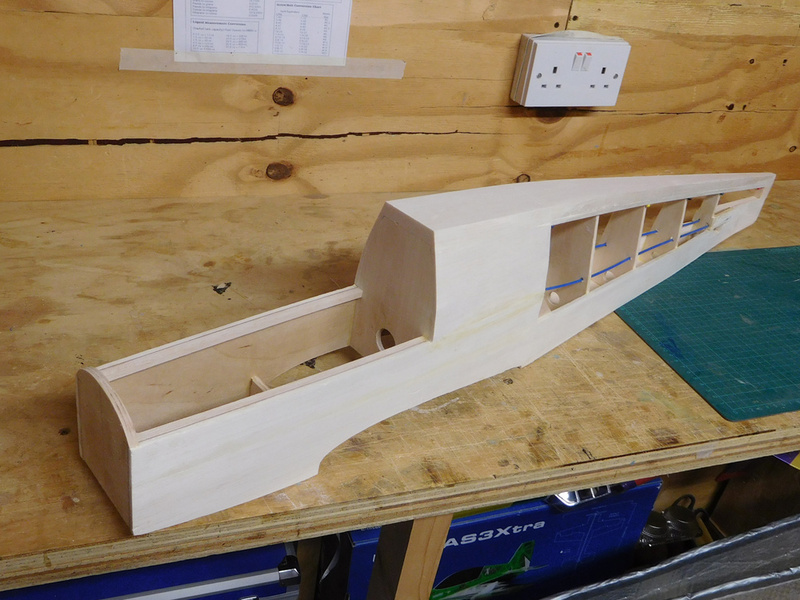 Undercarriage blocks cut, servo wells cut & lined with 3/32 balsa and using a 15mm copper pipe the channel for the cable runs. 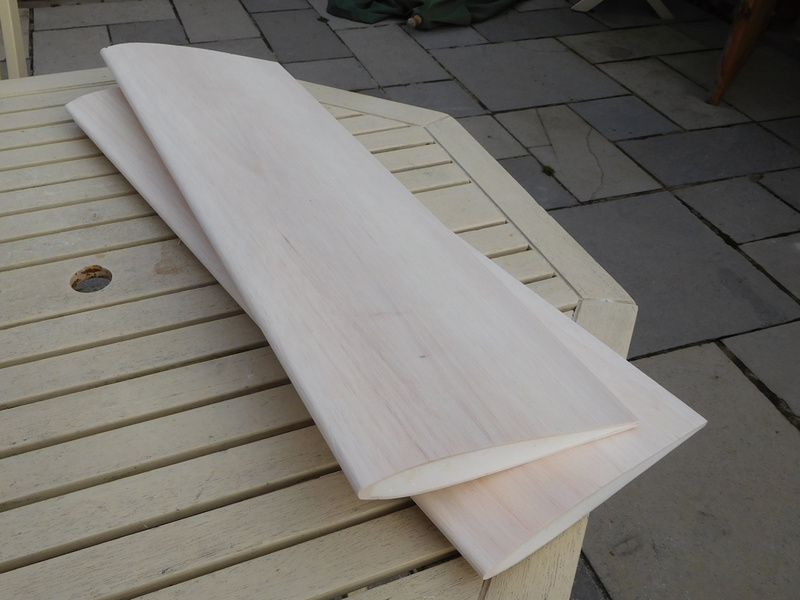 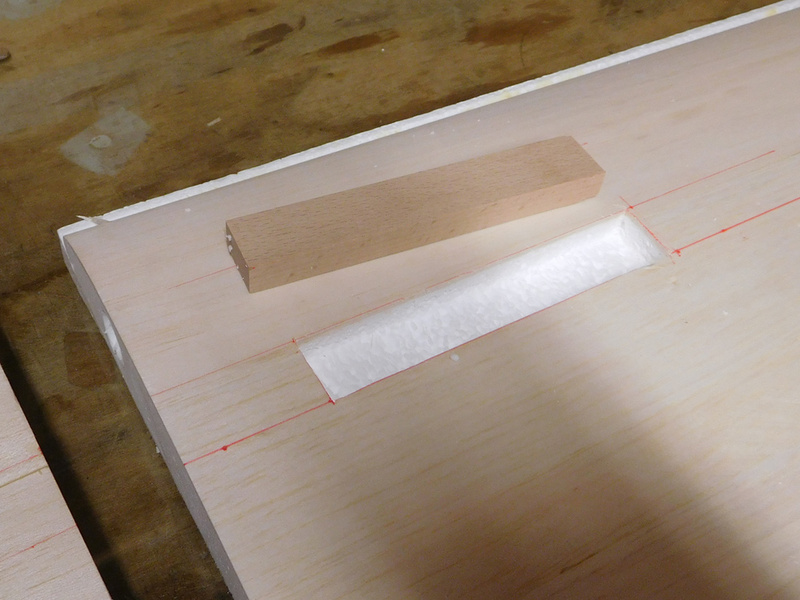 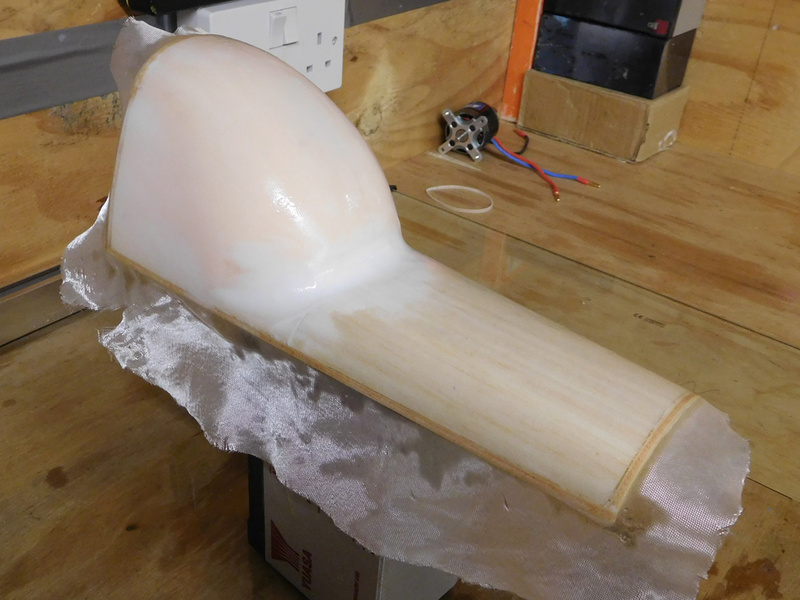 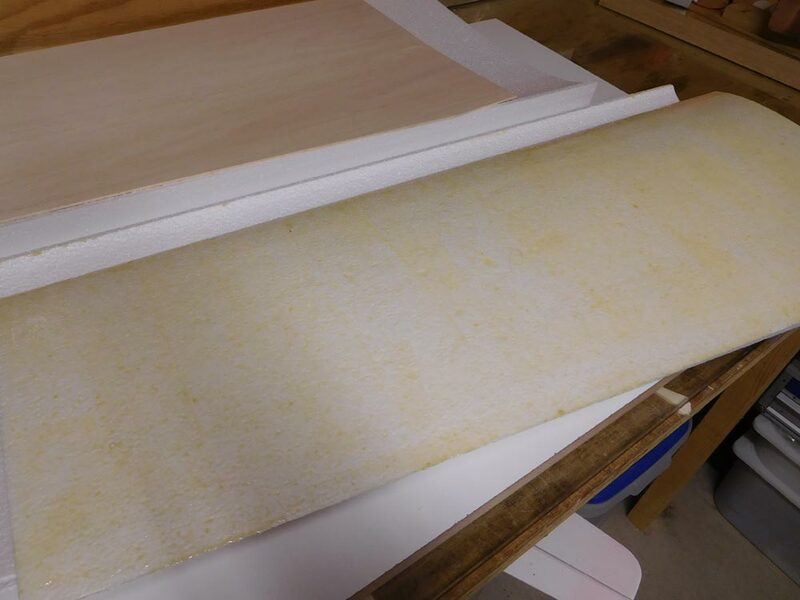 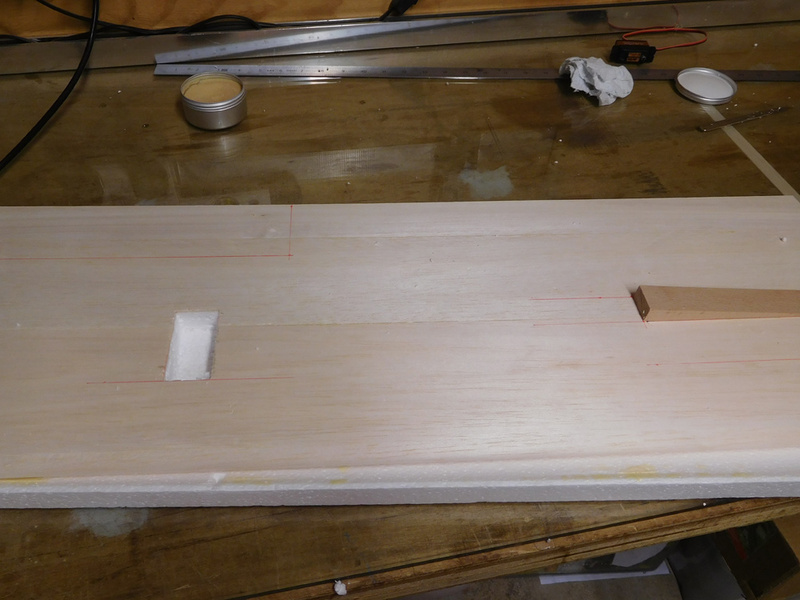 Foam wing cores sheeted with 3/32 light balsa, glued with Gorilla glue, spread thinly. 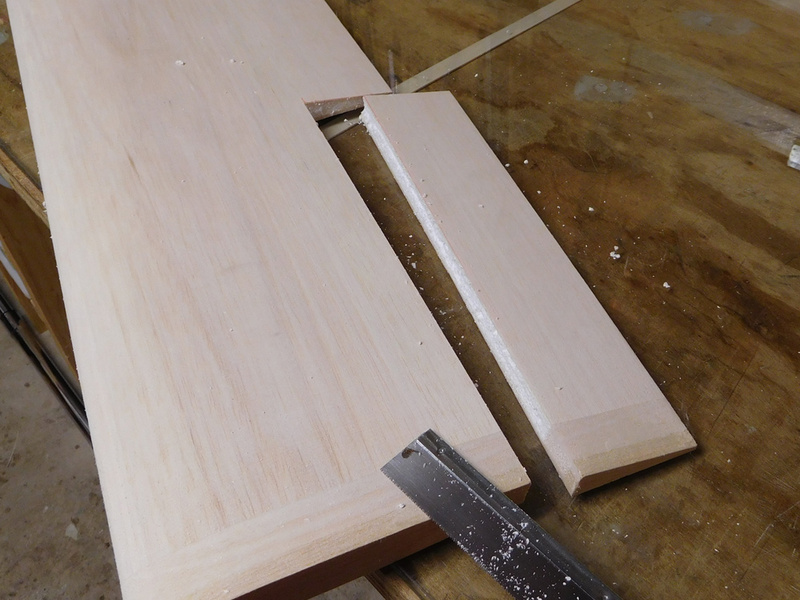 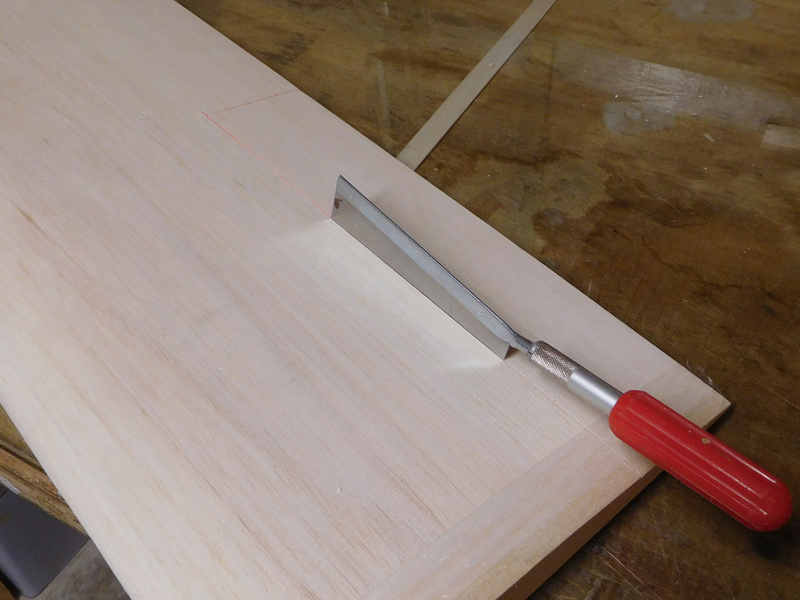 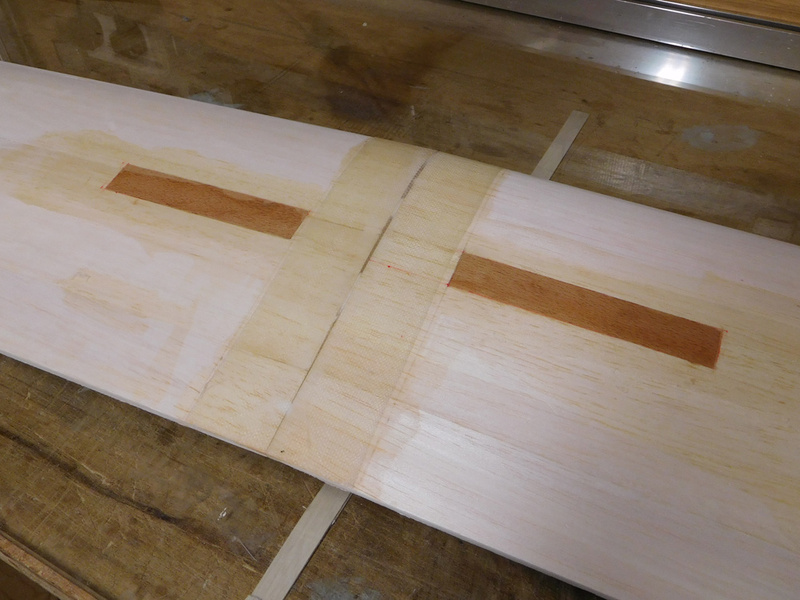 With such a thin spread there is no expanded glue seeping out from the edges. 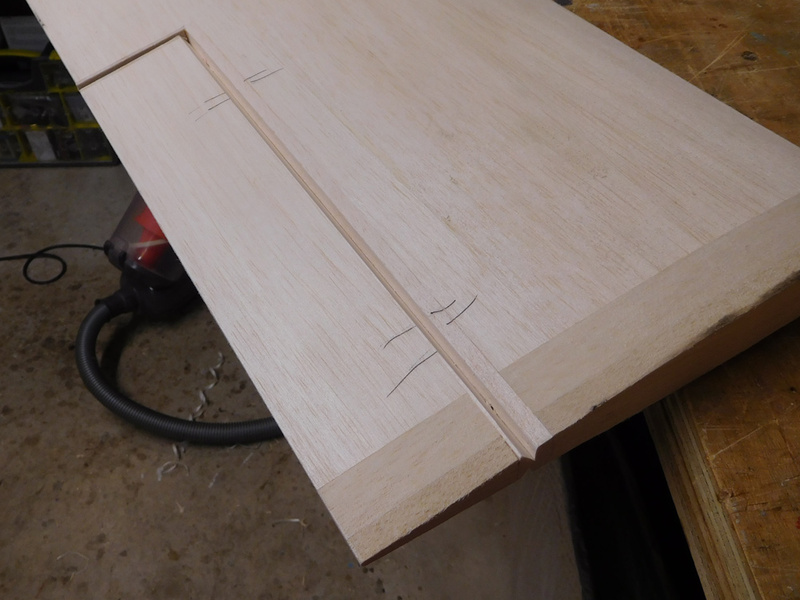 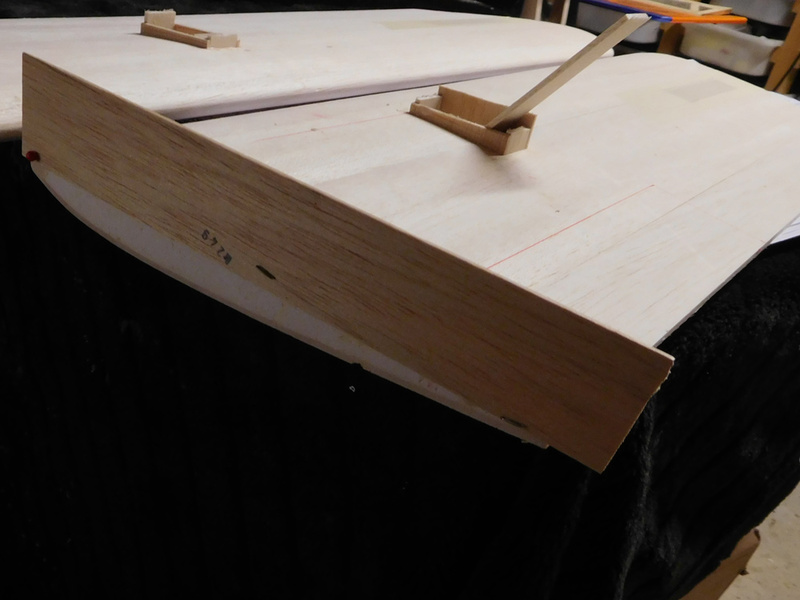 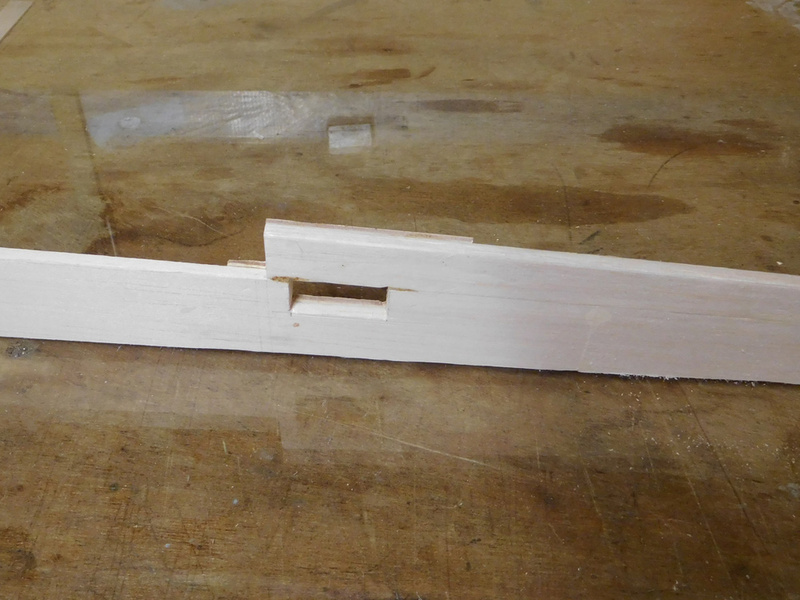 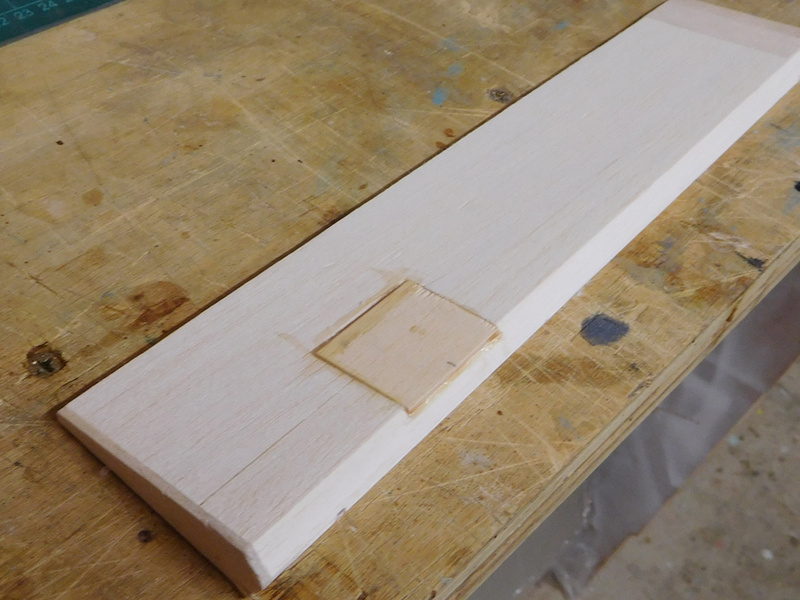 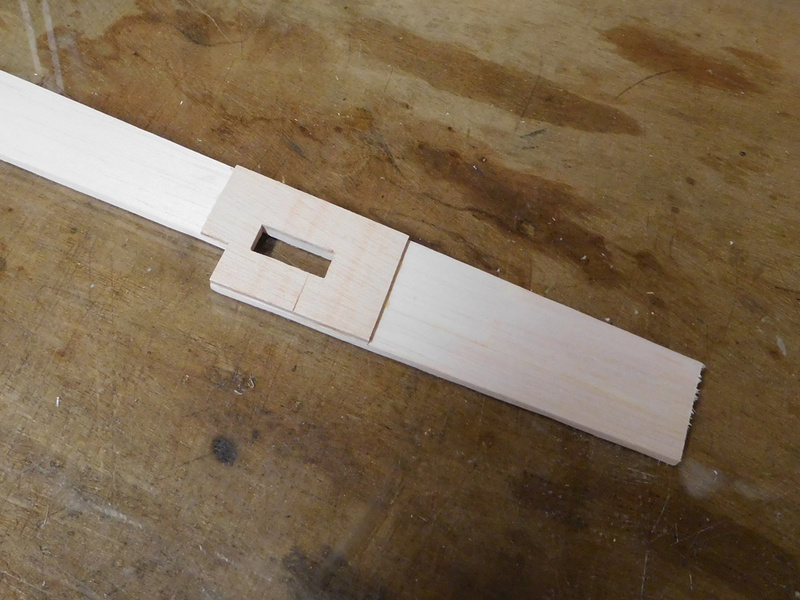 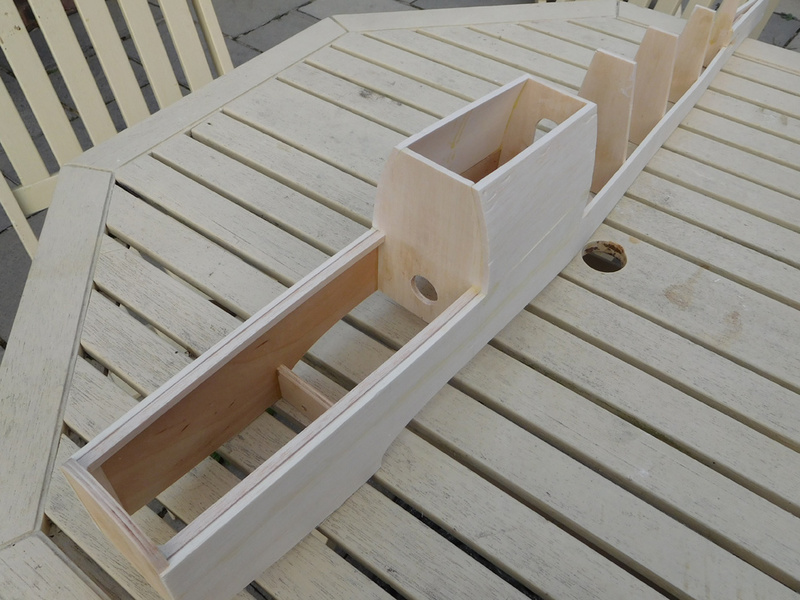 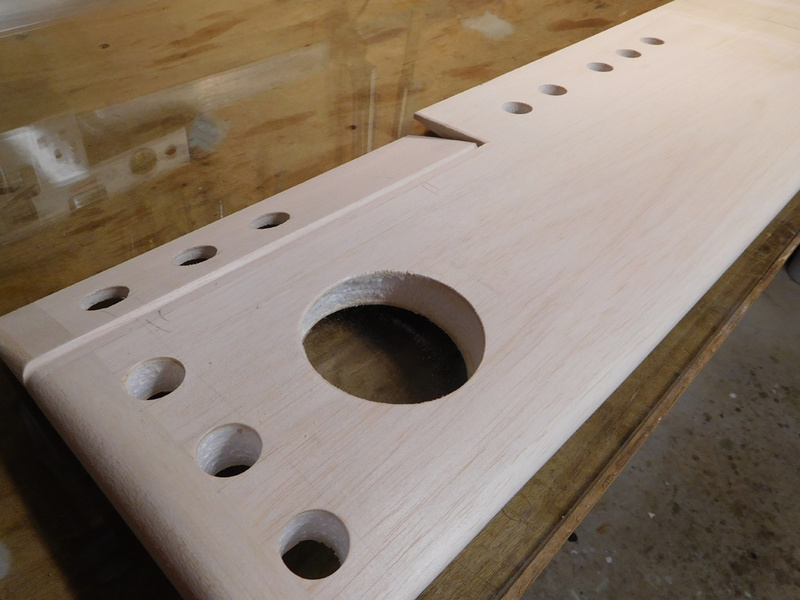 First of probably many changes to the plan, I'll be using dowels and wing bolts to hold the wing in place, here you can see the front dowel plate, and the rear fus top decking. 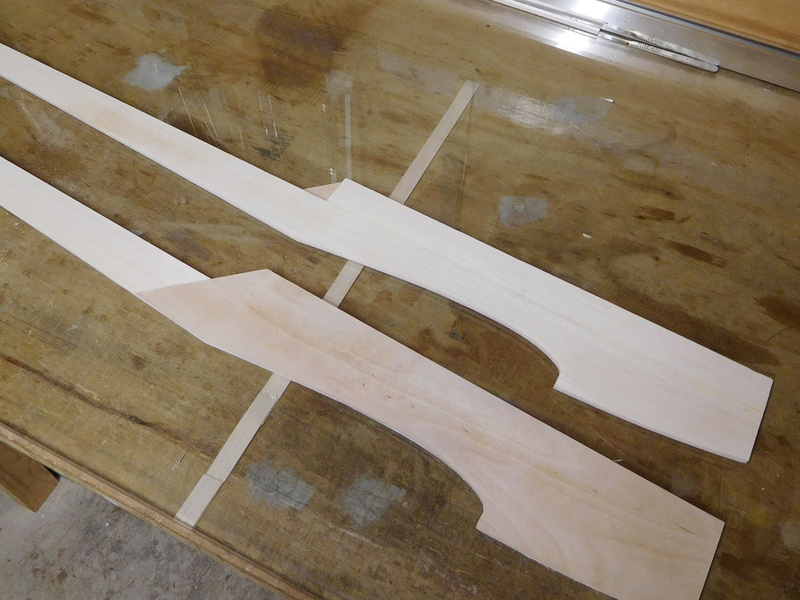 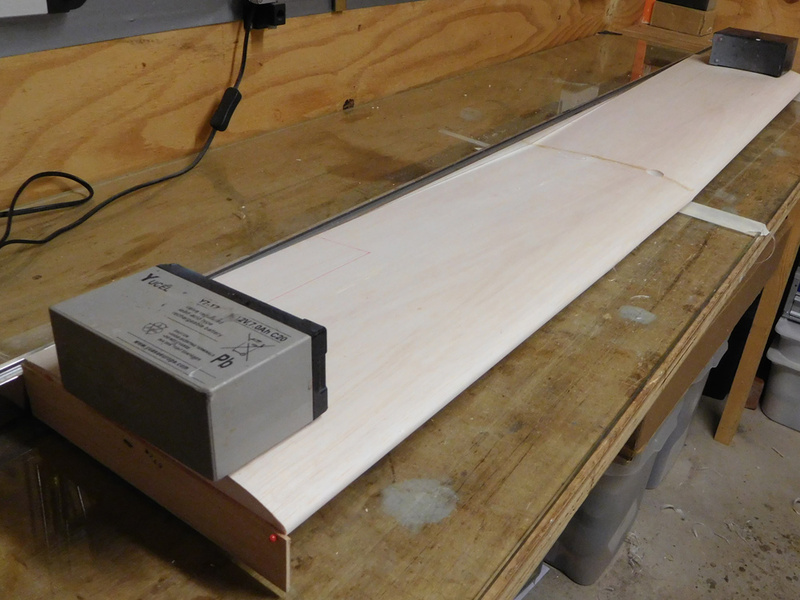 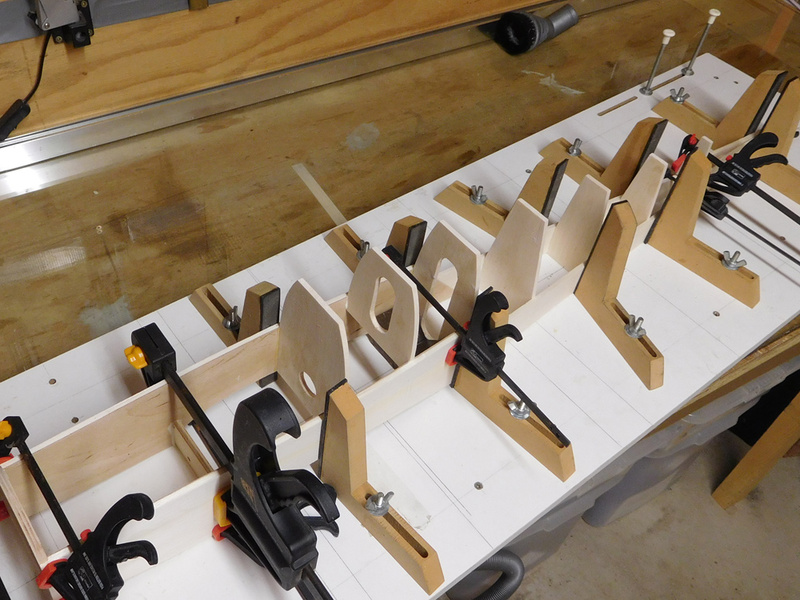 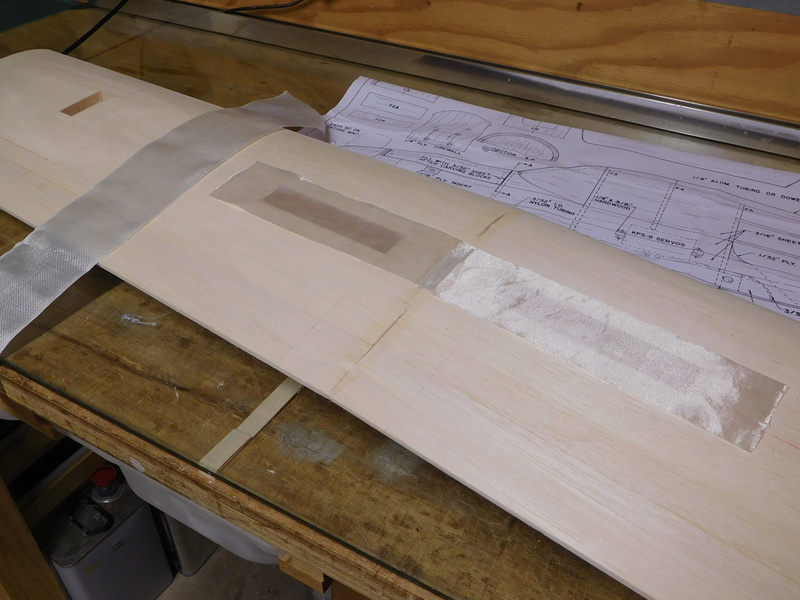 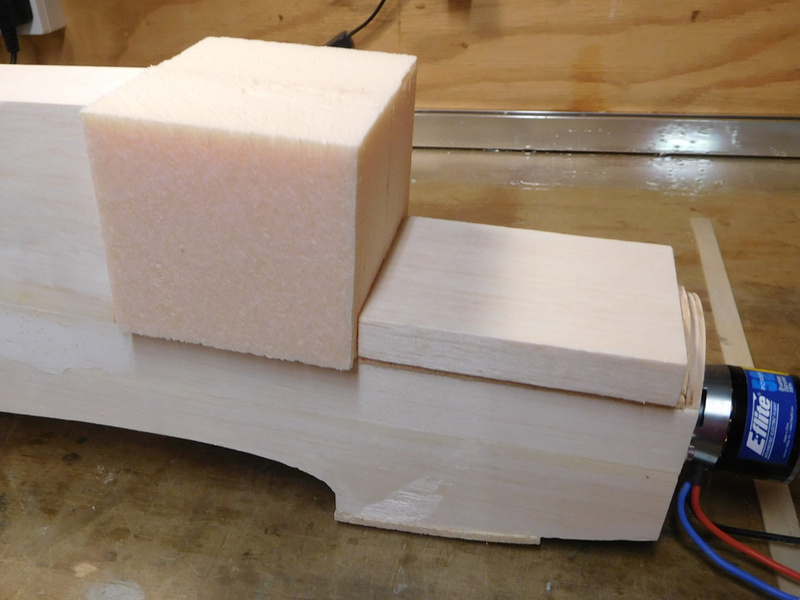 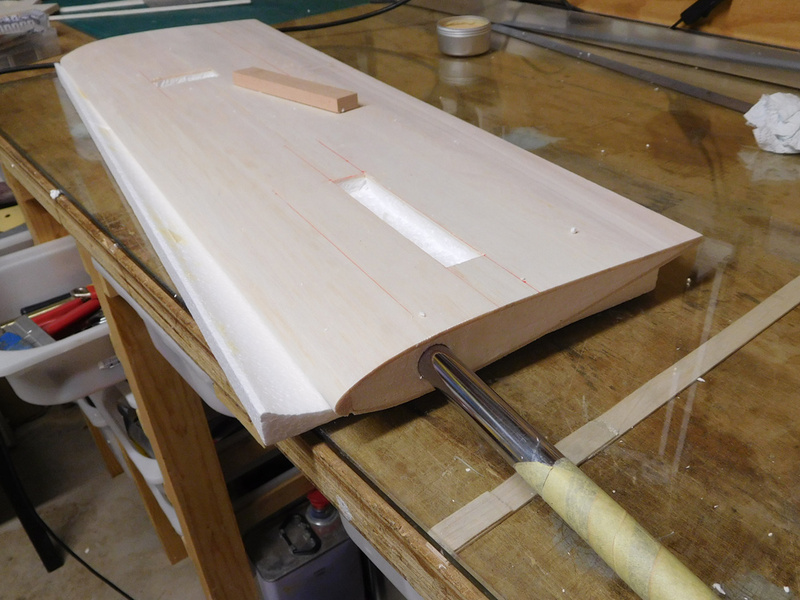 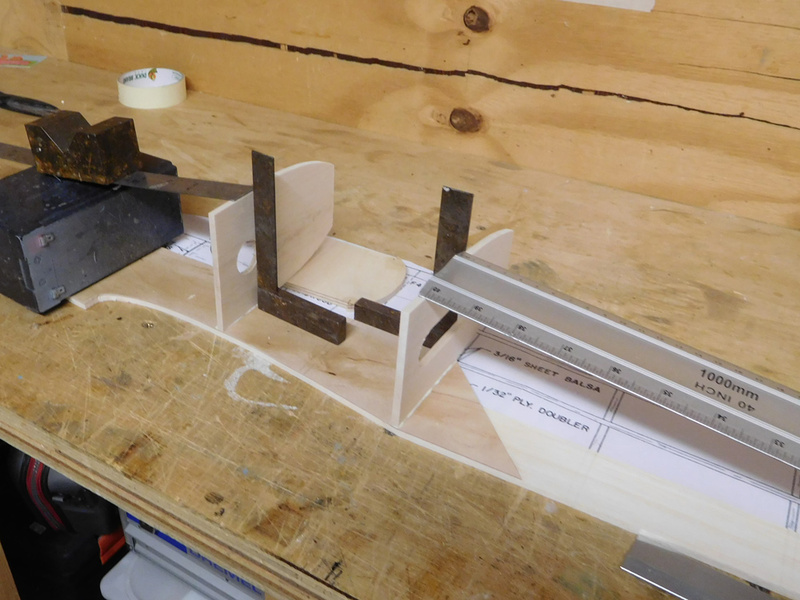 Fuselage construction starts with the front formers, then into the jig for the rear. 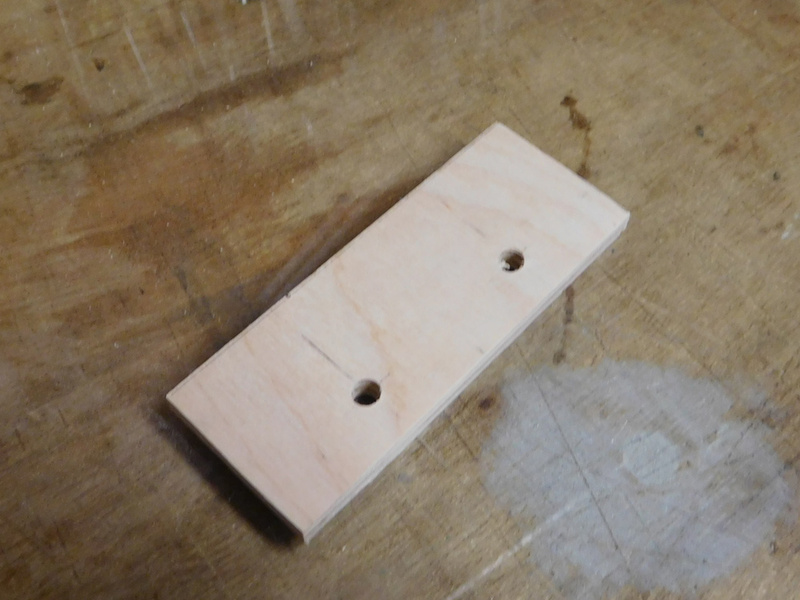 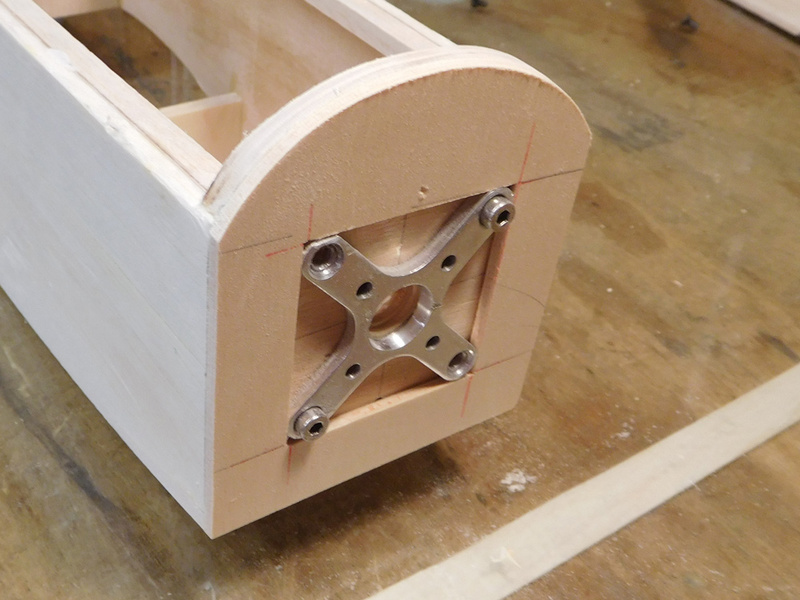 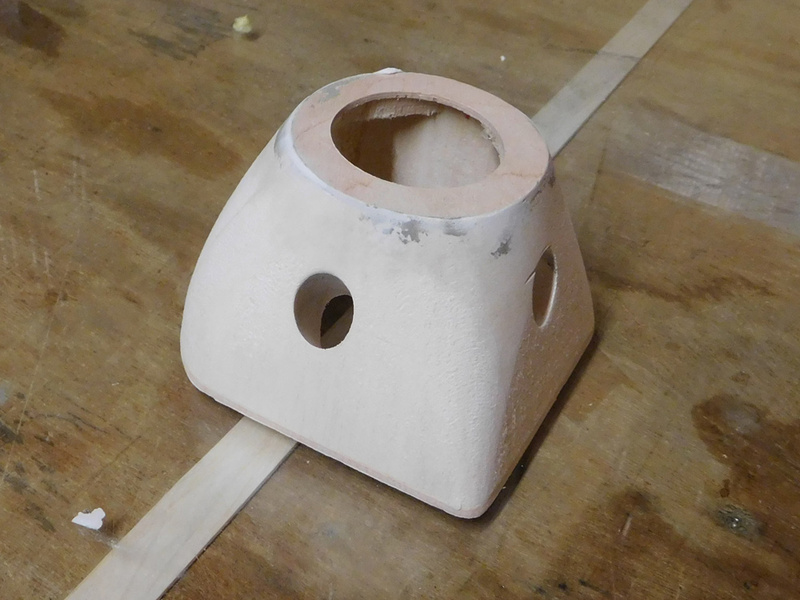 The rear formers have holes in them to allow for the servo wires. 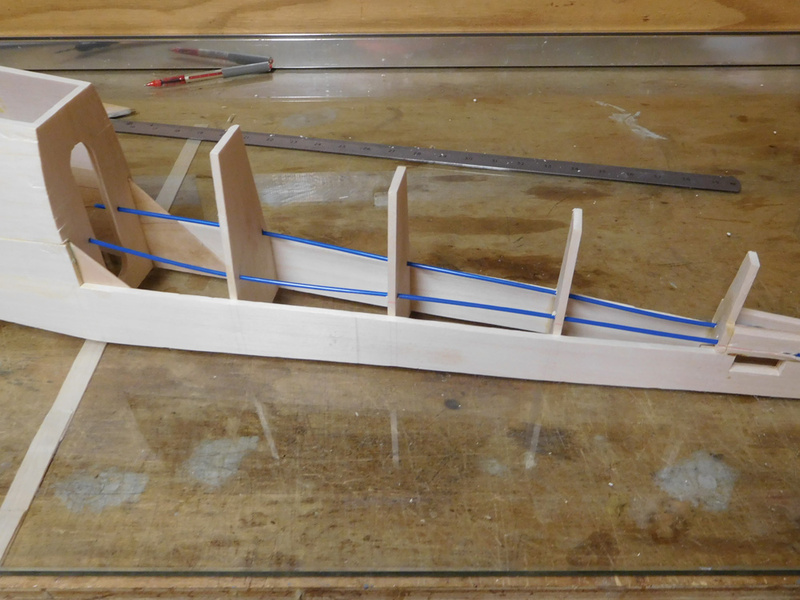 The blue tubes you can see are for the closed loop rudder wires. 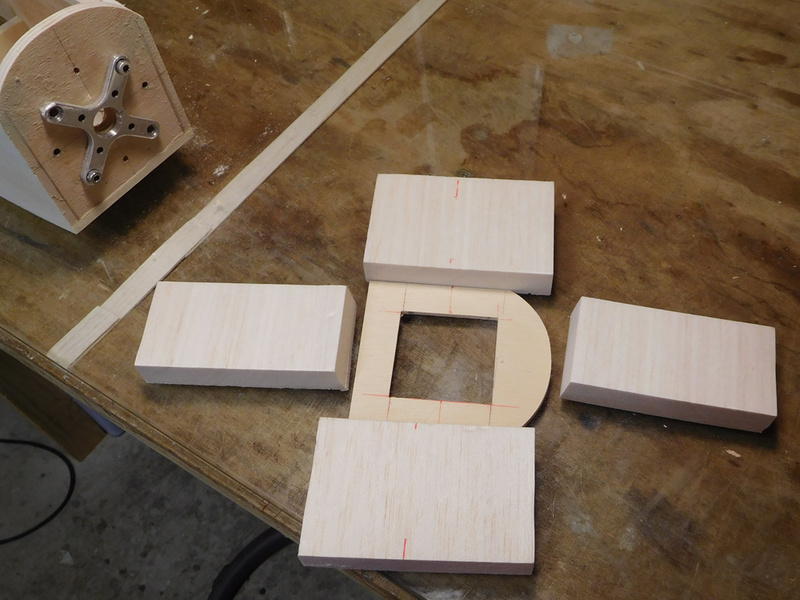 Doublers glued in place - note a left and right hand side. 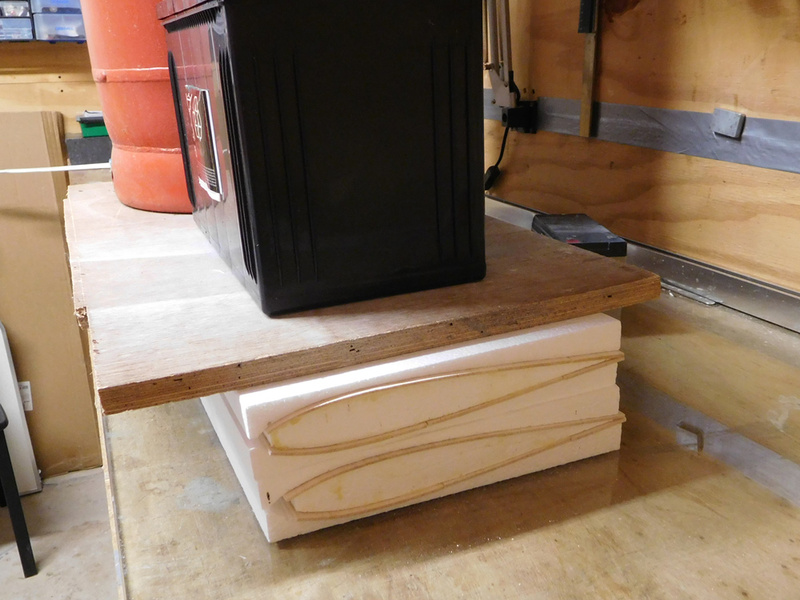 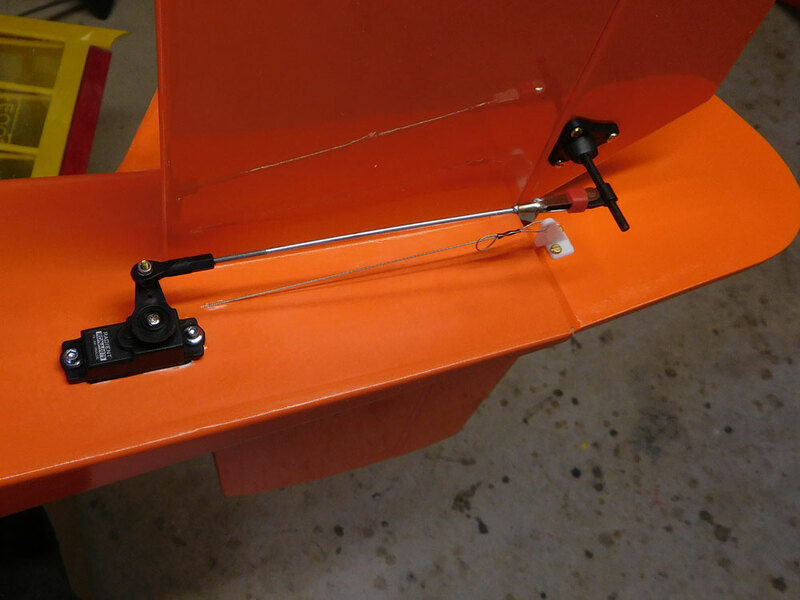 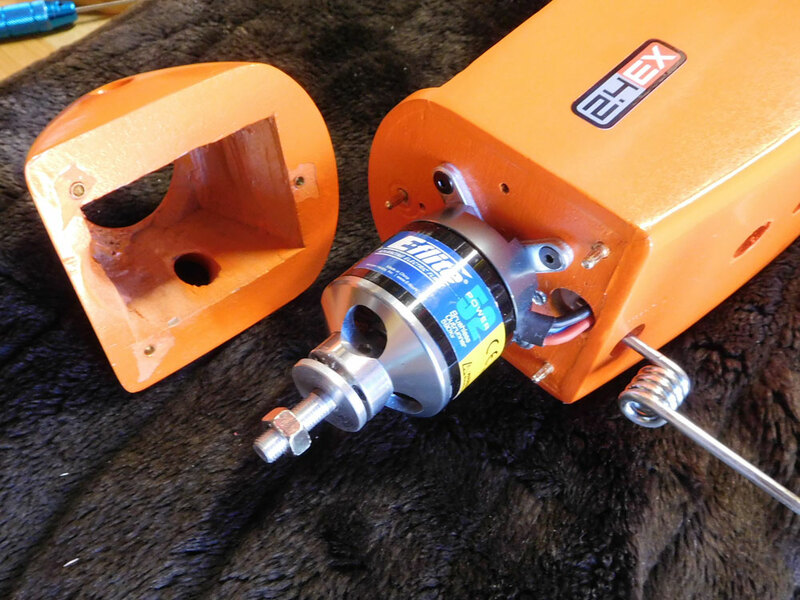 Also the elevator servo mount at the rear. 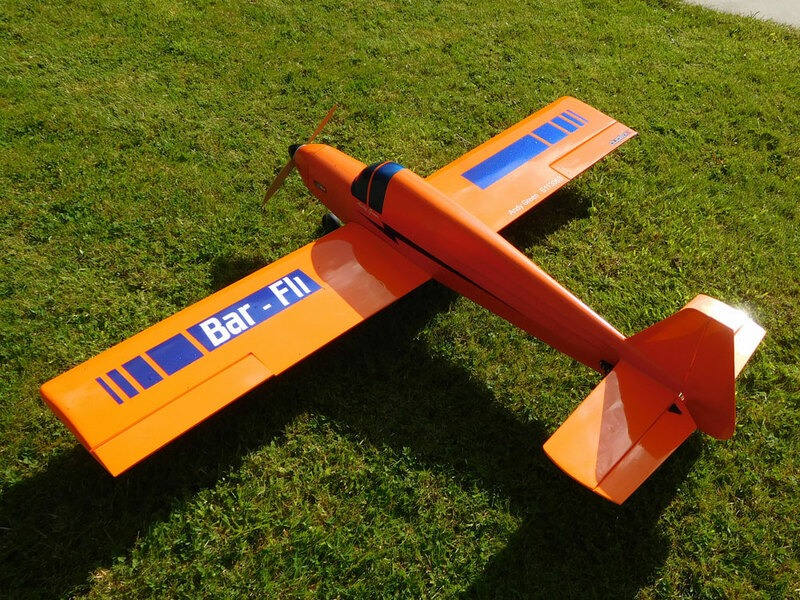 The Bar Fli has been on my list for a while now, and in anticipation I have a set of foam cores and a hard copy of the plan. 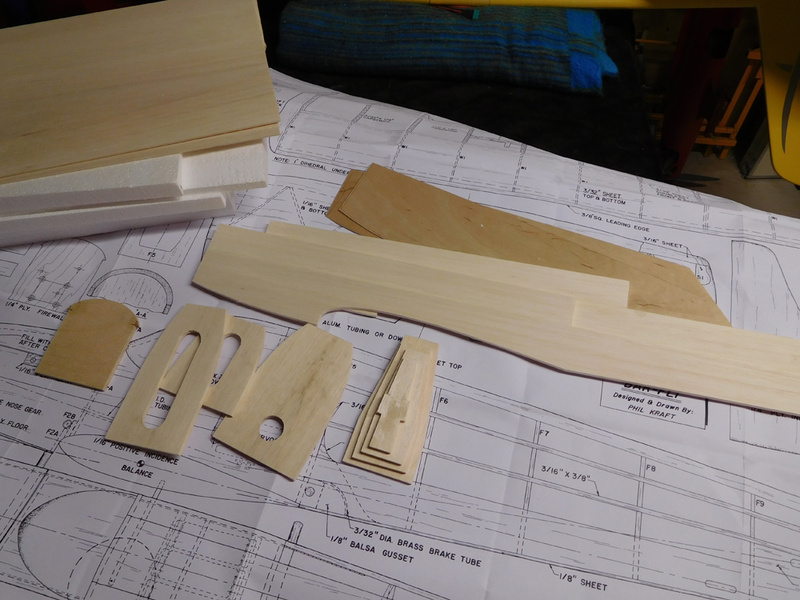 So I've made a slow start by creating a kit of parts. 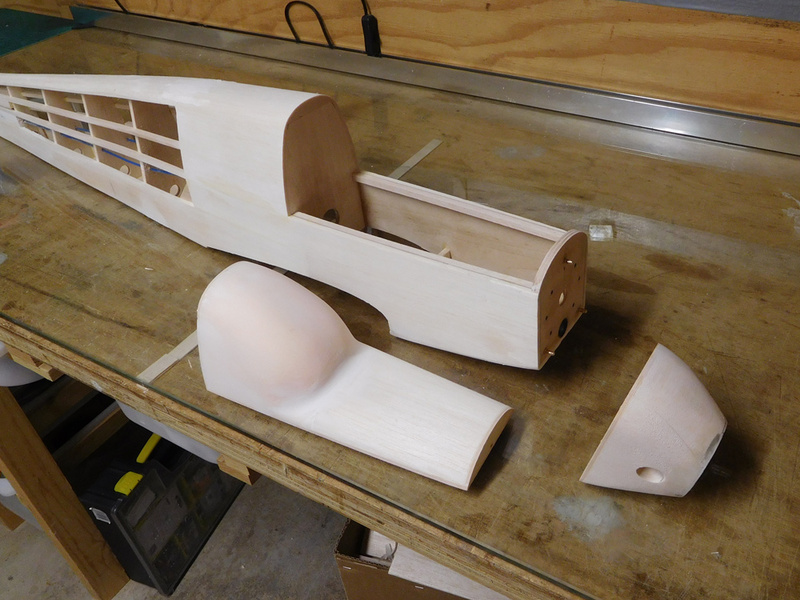 Seen in the first image are the cores with 3/32 sheeting, fuselage formers, and sides with doublers.